Come one, come all to get the best food in Waco all at one lunch!! Tuesday, May 2nd from 11:30am-1pm you can drop by for a deal that can’t be beat and food that’s all wonderfully homemade with love! Check out the flyer with this post for more info. 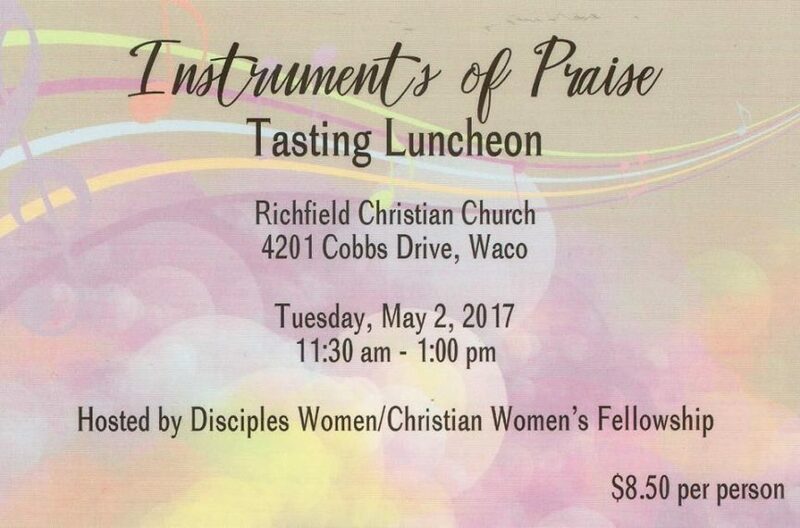 Tickets can be purchased in the church office, from a CWF member, or in the fellowship hall on the day of!